Well, folks it’s about that time of the year again. And, actually it has already arrived with the opening series between the Mariners and A’s. Baseball season is upon us! That also means it’s time for my annual predictions. Now, I’m not going to tell you to hop on a plane bound for Vegas to place your bets after reading this, because I’ve been wrong before and I’m sure I’ll be wrong again. We’ll take a look at each division and I’ll give you some postseason and awards predictions as well. Here goes nothing! 1. Tampa Bay Rays – After the magic of last year to just reach the playoffs on the last day of the regular season, Tampa won’t cut it as close this year as they win baseballs best division. With one of the games best managers at the helm in Joe Maddon, the Rays are in good hands. With a new wave of prospects coming in, hopefully the people of Tampa Bay take notice. 2. New York Yankees – The Bombers aren’t getting any younger with Derek Jeter, Alex Rodriguez, Russell Martin and Raul Ibanez all in the lineup. They had one thing in mind for the offseason and that was to improve the starting rotation. They did that by going out and trading for Michael Pineda and signing Hiroki Kuroda. Pineda is starting the year on the DL and if his shoulder injury lingers, New York could be right back to square one. 3. Boston Red Sox – Beantown was fairly quiet in the offseason, which is rare. 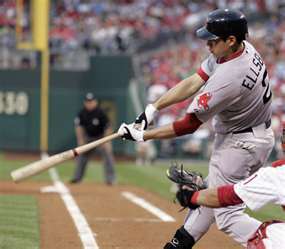 The first five of Jacoby Ellsbury, Dustin Pedroia, Adrian Gonzalez, Kevin Youkilis and David Ortiz is possibly the best in baseball but the rest is a big question mark. I could very easily see Boston finishing fourth in the East. 4. Toronto Blue Jays – The Jays are just about ready to arrive and make some noise in this division. Jose Bautista anchors a deep and powerful lineup. Toronto could possibly get 20 HR’s, one through nine in the lineup. Brett Lawrie is primed to be a superstar. Can the young rotation keep them in contention in September? 5. Baltimore Orioles – The Orioles will be a decent offensive team but they can’t score seven runs a game and that might be what’s necessary with the rotation they have. 1. Detroit Tigers – Detroit is the best team in baseball and that is WITHOUT V-Mart. Miguel Carbrera and Prince Fielder is a scary combo. The Tigers will win the Central by 10+ games but they’ll need the back end of the rotation in Rick Porcello and 22-year old Drew Smyly to keep them in ballgames. 2. Kansas City Royals – I love this team and its young lineup. They are going to be very fun to watch but unfortunately I still think they are a year or two away. Eric Hosmer is going to be a star. Can Jonathan Sanchez pitch effectively in the AL? I think the playoff drought continues but this team WILL finish with a winning record. 3. Minnesota Twins – The Twins badly need Justin Morneau to return to the days of pre-concussion. For his sake, I hope that happens. He started out Spring Training slow but has made a lot of strides in the past week. 4. Cleveland Indians – Cleveland could finish anywhere in this division two through five. A lot of nice young pieces but no real star power. They need Ubaldo Jimenez to be the guy they thought they were getting when they traded Drew Pomeranz to Colorado. Unfortunately, I don’t see him being much more than a number three or four starter on most teams. 5. Chicago White Sox – What happened to this team? Tough spot for first-time Manager Robin Ventura. There’s not a lot of hope on the south side of Chicago and there isn’t much on the way with one of the worst farm systems in baseball. 1. Texas Rangers – Top to bottom the Rangers have the toughest lineup in Major League Baseball. They have a ton of power and a few guys who can run the bases as well. The question mark, if any, is the pitching. If Yu Darvish can replace C.J. Wilson, they’ll be fine. Neftali Feliz was a very good closer and he’ll try to make the transition to starter leaving the closer duties to Joe Nathan. I don’t think this transition will be as seamless as Darvish and Wilson. 2. Los Angeles Angels – Albert Pujols instantly makes the Angels a contender but it’s the pitching staff that will ultimately carry the Halo’s. Jered Weaver, Dan Haren, C.J. Wilson and Ervin Santana is a scary-good one through four. Look for this race to go down to the final week of the regular season. 3. Seattle Mariners – Jack Zduriencik has a plan to make the Mariners relevant again and it’s coming together. 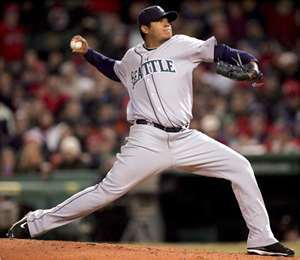 They are still two years away from contending in the West but there are good things on the horizon for the M’s. Dustin Ackley, Justin Smoak, Jesus Montero and Kyle Seager is a solid core and there is help on the way for Felix Hernandez in Danny Hultzen, Taijuan Walker, James Paxton and Erasmo Ramirez. 4. Oakland Athletics – Oakland has a lot of prospects making their way up through the system but they are years away. The A’s will struggle to score runs against the power arms in the West.